The 1978 Saab 900 could be dismissed as merely an evolution of an older model, but it became far more than that. It became the ur-Saab. “The car has become an indispensable part of our everyday life. We need it so that society will not grind to a halt and so that people will serve society efficiently. looking ahead a little further, will the car continue to be as essential in our everyday lives as today? There are other websites with better photos than the ones I take. I gave up taking arty photos of cars ages ago because I am simply no good at making a good car look any better than it might be. “The new Saab 99 tested. Is it more than the anti-Volvo”? Marking the Saab 99’s 50th anniversary, we revisit this transcript where the legendary motoring writer Archie Vicar samples what is now viewed as one of the top-ten great Saabs. First published Nov 7, 2014. From “Mass Motorist” Dec. 1968. Photos by Douglas Land-Windermere. Owing to the poor quality of the original images, stock photography has been used. Theme: Brochures – Just Right? 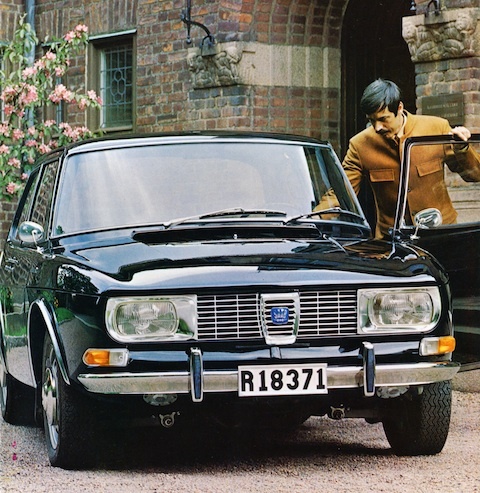 Already a decade old in 1977, the SAAB 99-series perhaps best embodied the Swedish ideal of ‘Lagom’ . Author Eóin DoylePosted on 26 Feb 2017 7 Mar 2017 Categories Brochures Theme, Marques, Monthly Themes, SaabTags Class of 1977, monthly theme, Saab, Saab 997 Comments on Theme: Brochures – Just Right? The Saab Car Museum in Trollhättan, Sweden has a well-presented and thorough collection of production, prototype and concept cars.